I'm Tuesday, March 9. Have I mentioned how sweet the air around here smells these days? The sweet scent of citrus in bloom is everywhere and you really don't go far without getting a pleasant whiff of it. Many people complain about the allergies they get from it but I savor every whiff. It is a true sign of spring around here. Love it! Today is the 2-year anniversary of my brother-in-law, Dan's, passing away. It's another one of those family events that are so near and dear and we will feel his loss for a long, long time. I talked with Sharon for a while tonight - always nice to chat with her. We have so much in common, especially our marriage to brothers and the similar circumstances in which they died. It is so sad. I've also been thinking a lot about my dear friend, Leslie, who just lost her husband, Tom, on January 21. I called her and we had a nice, long talk and I hope that my calling helped her a bit. You know, it is such an individual thing, and everyone copes in different ways, but it has to be comforting knowing that someone else has been in your shoes. For all three of us, it was a sudden, unexpected loss that left so many questions and we all feel we were cheated out of a few more years with the ones that we loved the most in our lives. We will carry on and make the most of it, although I never dreamed that I would be a widow at such a young age. 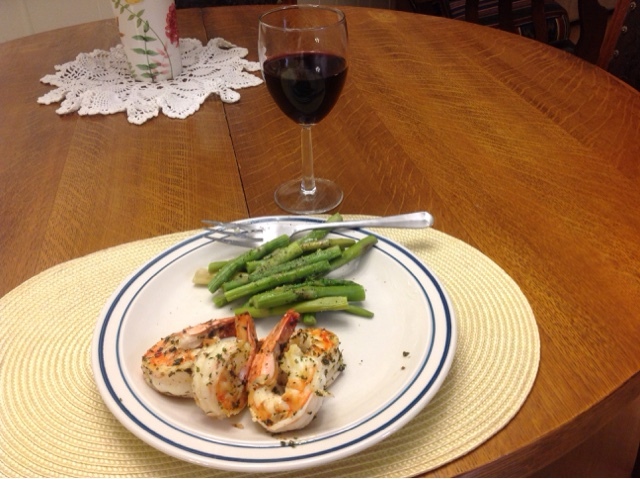 I fixed myself a yummy dinner tonight - sauteed shrimp and steamed asparagus and a glass of wine. MMMMMMM! It can't get much better than that. Friday, March 12. 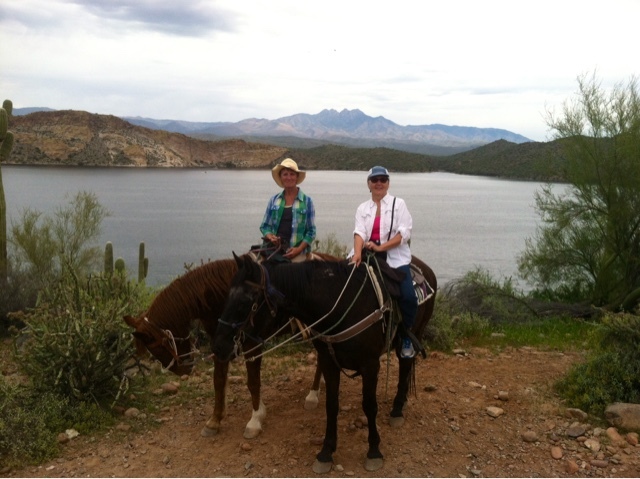 Finally, after years of talking about it, Pat and I went on a trail ride at Saguaro Lake Ranch today. There were six of us plus our guide, Preston. 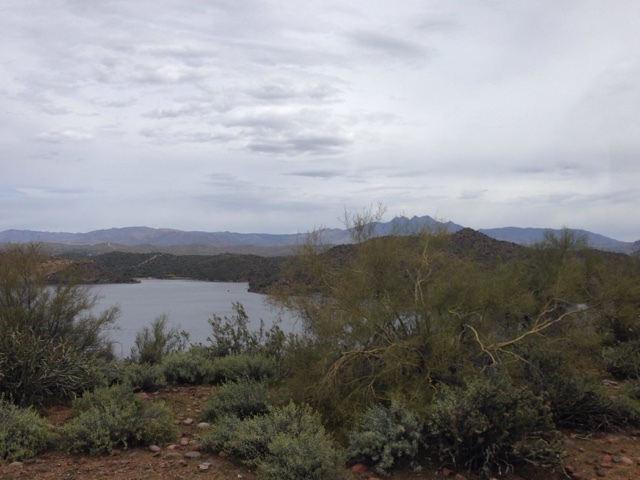 We crossed the Salt River, were on rocky terrain and smooth terrain, rode up and down hills, saw the early stages of wildflower bloom, gorgeous views of Saguaro Lake and Four Peaks. I couldn't have asked for anything more - it was perfect. Sunday, March 15. I have actually spent most of my weekend at home, just taking life at a slow pace. The exceptions were going out to dinner with Pat, Rog, and Arlene to Pier de Orleans on Friday night, working on Saturday afternoon, dinner and dancing here in Brentwood on Saturday night, hanging out at the pool with Connie this afternoon and making a Corned Beef and Cabbage dinner for Chuck & Kathy, Connie and I tonight. And now, after writing this, it hasn't really been a slow pace. Still, fun Nd enjoyable. My niece, Lanae, has started an Etsy business call Free Society Threads and I had her custom make this darling t-sheet for me. Isn't it cute?